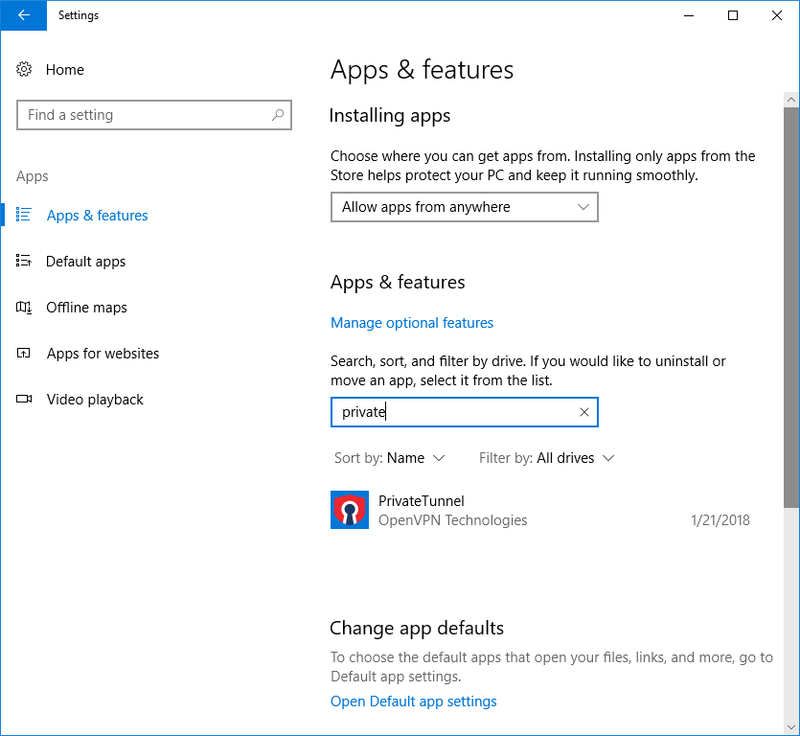 When I tried starting PrivateTunnel 2.8.4 after installing it on a Windows 10 system, I found it wouldn't start, though the Windows Task Manager would show the process appearing and disappearing repeatedly, although it appeared to be getting 0 CPU time. 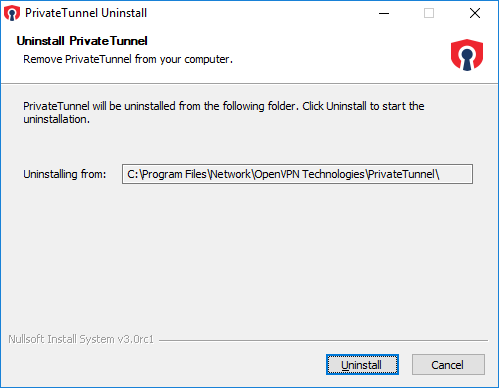 So I decided to uninstall it by right-clicking on the Windows Start button, clicking on Apps, then searching on PrivateTunnel. But when I did that I saw the message "Windows cannot access the specified device, path, or file. You may not have the appropriate permissions to access the item." But I was logged into an andministrator account on the system at the time I saw the message. 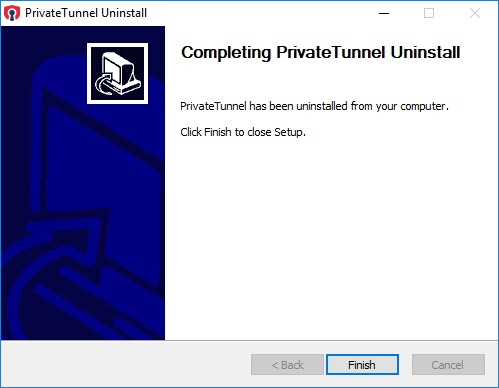 However, when I went to the directory where the software was installed using the Windows File Explorer and double-clicked on uninstall.exe, an "Uninstall PrivateTunnel" window opened. I was then able to uninstall the software.